Orange Beach gulf-front condo for sale at Sunswept. 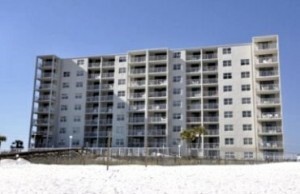 Beautiful 2 bedroom 2 bath beach-front unit in the heart of Orange Beach. 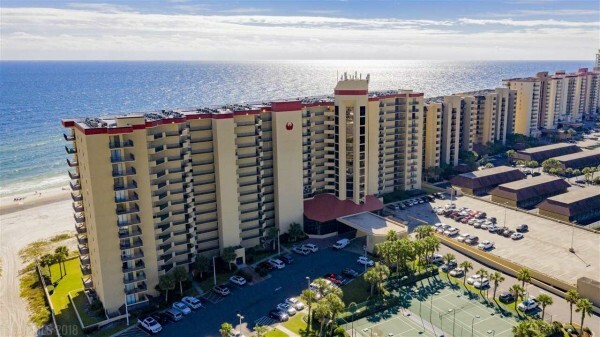 Unit located on 6th floor overlooking the gulf, beach, & large pool. Relax on the private balcony and enjoy the gulf and beautiful sunsets. Very conveniently located with Walmart Market and Rouse's grocery stores located directly across the street; in addition to restaurants, general merchandise stores, banking, and other shopping. Orange Beach Alabama gulf-front condo for sale at Phoenix V. This beachfront property is the ideal real estate investment and/or second home - 1 BR 1 BA direct gulf-front rental income of over $34,000 so far. The resort condominium has tile flooring throughout the living areas and new granite counter-tops and wood cabinets in both the kitchen and bathroom. Real on the private balcony as you enjoy the breathtaking views of the Gulf of Mexico. Phoenix V is poured-in-place, reinforced-concrete building situated in the heart of Orange Beach, easy walking distance to dining, shopping, and entertainment. Community amenities feature indoor and outdoor pools, BBQ area, tennis & racquetball courts, hot tubs, sauna, an exercise facility, kids splash pad and more. Don't miss this opportunity, come see this condo today!